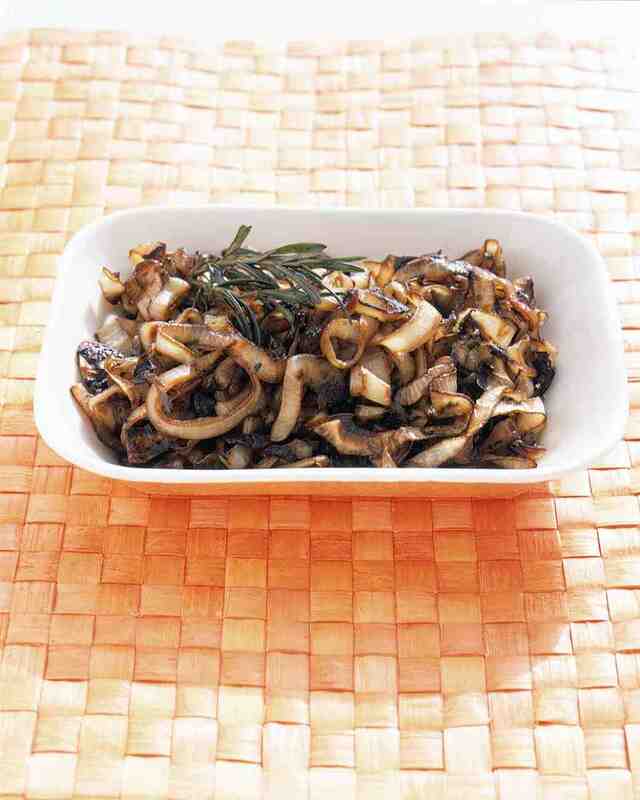 In a bowl, toss onions, rosemary, olive oil, and balsamic vinegar; season with salt and pepper. Transfer onions to hot wok, reserving bowl and marinade; cook onions, tossing frequently, until golden and caramelized, 20 to 40 minutes. Return onions to bowl; toss with reserved marinade.